The price of oil made gains above $91 per barrel Thursday, rebounding from a steep drop, as the European Central Bank cut its key interest rate to a new low. By early afternoon in Europe, the benchmark oil contract for June delivery was up 48 cents to $91.48 a barrel in electronic trading on the New York Mercantile Exchange. The European Central Bank cut its benchmark interest rate to 0.5 percent from 0.75 percent at its meeting in Bratislava, Slovakia, on Thursday. The effects of the rate cut remain to be seen, but traders saw it as an encouraging step supporting the economy and possibly leading to increased oil demand. 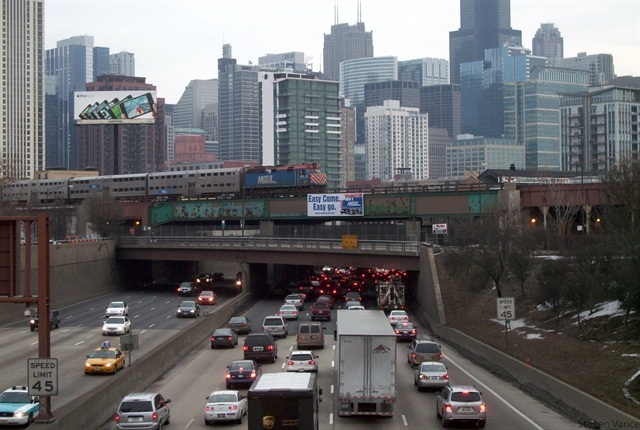 Traffic congestion on U.S. roadways is back after two consecutive years of declines, with traffic congestion up 4% in the first quarter compared to 2012, according to traffic information provider Inrix in its sixth Traffic Scorecard Annual Report. Shell and TravelCenters of America (TA) have finalized an agreement to develop a U.S. nationwide network of liquefied natural gas (LNG) fueling centers for heavy-duty road transport customers. The plan is to construct at least two LNG fueling lanes and a storage facility at up to 100 existing TA and Petro Stopping Centers branded full service travel centers along the U.S. interstate highway system. Construction and opening of the LNG stations will be done in a phased approach with at least two natural gas fueling lanes and associated storage capability established at each facility. Pending customary approvals, the company estimates the first of these stations will be operational in roughly one year’s time with a priority to develop the main trucking corridors to provide the potential for what Shell says will be the first-ever coast-to-coast LNG-fueled commercial transport network. CHATTANOOGA, Tenn. (AP) — Trooper Gordon Roberts sat behind a pair of Ray-Bans, a steering wheel and about 15 different gauges as he merged onto Interstate 75. He looked out the driver’s side window and scanned across the three lanes in front of him, left to right, looking for his first catch of the day. A few small trucking company owners took the opportunity last week to give California’s Air Resources Board “an earful,” pointing to both general and specific issues with implementation of the state’s latest emissions regulations (which went into effect this year), according to KHSL 12, a CBS affiliate in Chico, Calif.
Namely, the requirement that 2000-2004 year-model engines be retrofitted with a state-approved soot filter or the vehicles be done away with or updated was the rule drawing the most fire. Noncompliance could be met with $1,000 fines, block of registration or even impounding vehicles.